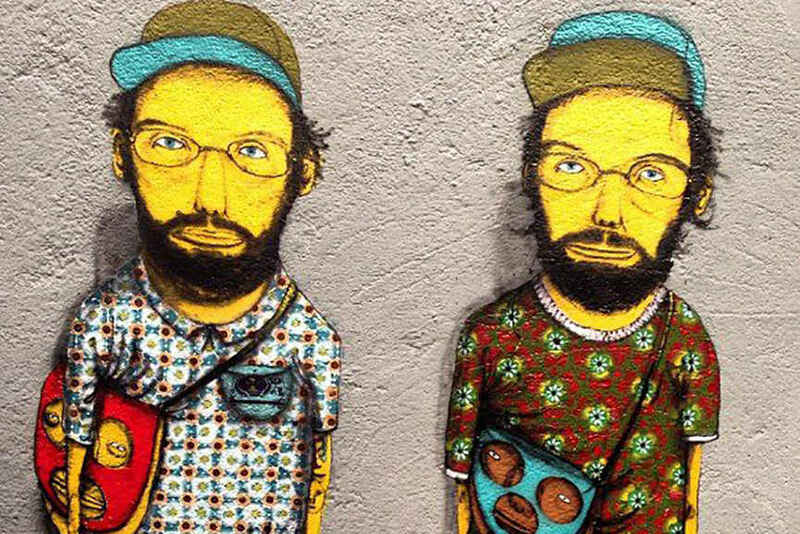 Widewalls artist, or shall we say artists, of the week are Gustavo and Otavio Pandolfo better known to our readers and in the community of street and urban art admirers as Os Gemeos artist duo. 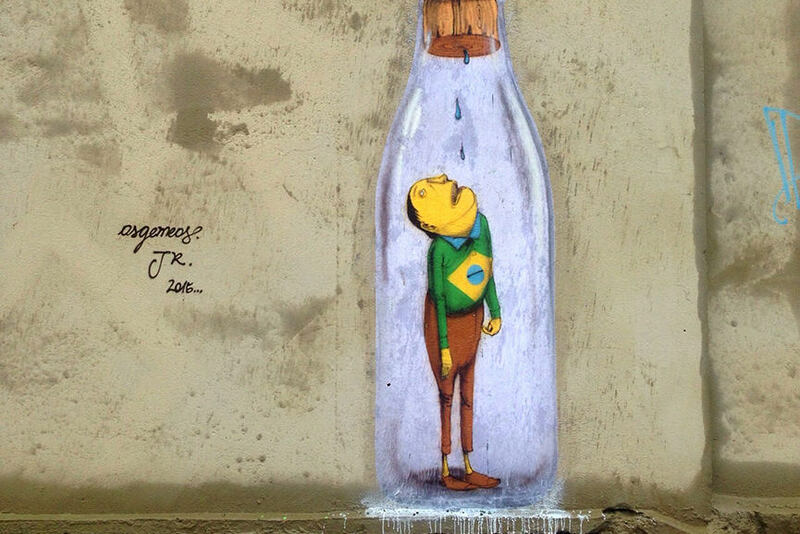 They have been creating their astonishing street art pieces in their hometown of São Paolo, Brazil and in other locations worldwide, for little less than two decades. 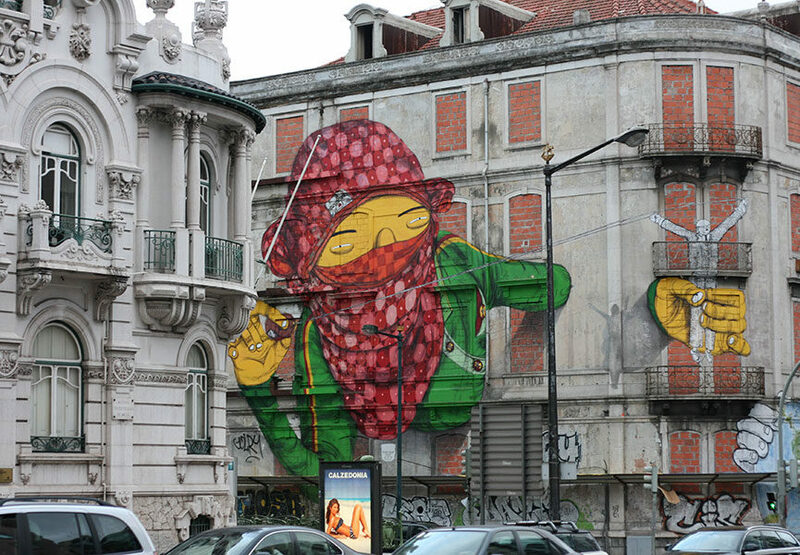 Os Gemeos are also the regular guests in our Street Update section and they were our artists of the week once before. As you probably know they are one of the most recognizable street art duos and probably the biggest stars of the Brazilian street art scene. 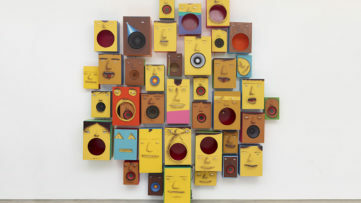 What brought popularity and recognition to Os Gemeos is their unique visual language which merges traditional Brazilian heritage and cultural symbols with hip-hop influenced style and their own uninhibited imagination that can only be found in the works of those artists who have stayed close to those playful memories of their childhood. 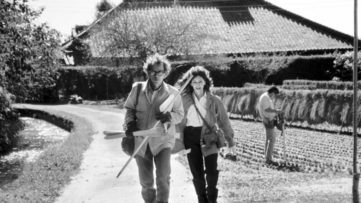 In the following paragraphs we will travel through those important moments in their career and also see what they have been up to lately, so stay on this page for some highlights of the work of our favorite Brazilian duo. Before they were Os Gemeos street-art duo, they were just two identical twin brothers with extraordinary creative potentials developing a combined and distinct artistic language over the years. Even though they started their shared career on the streets of Brazil inspired by the American hip-hop culture and pixação graffiti style they quickly developed their individual style by incorporating those local cultural elements into their work. They even tried their luck in the field of breakdancing, before they became recognizable figures in the local street art scene. During the years, the trademark of their artistry became the representation of humorous and playful cartoon-like characters whose yellowish figures reside on many walls all over the world. 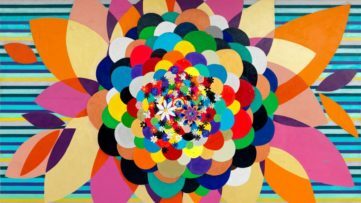 Their artistic practice is evolving constantly, and in the recent times they have noticeably moved beyond painting and drawing towards some other techniques and mediums like sculpture and animation. Let’s see what these two twins have been up to lately. As you had the opportunity to read in one of our articles they recently engaged in the Midnight Moment, a public art project in New York. 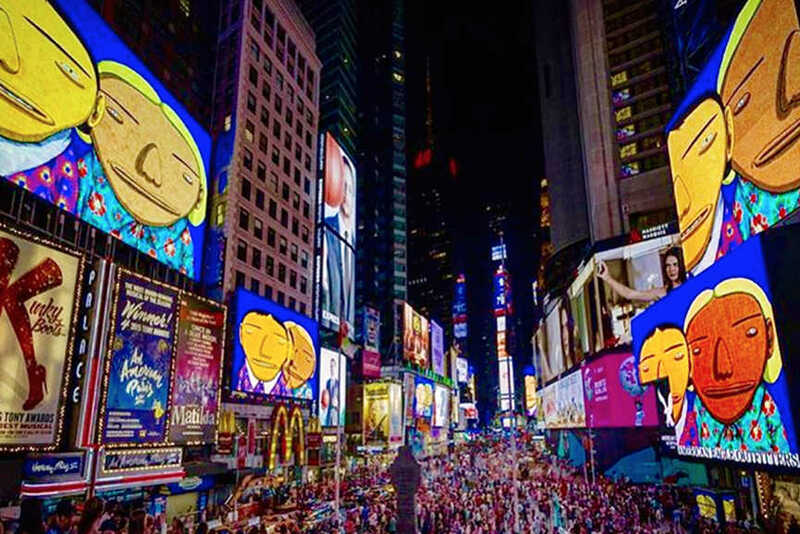 Every night in August their short animated video Parallel Connections, presenting their lovable characters in action who will take over the billboards in Times Square, turning this heaven for advertisement into an artistic oasis. 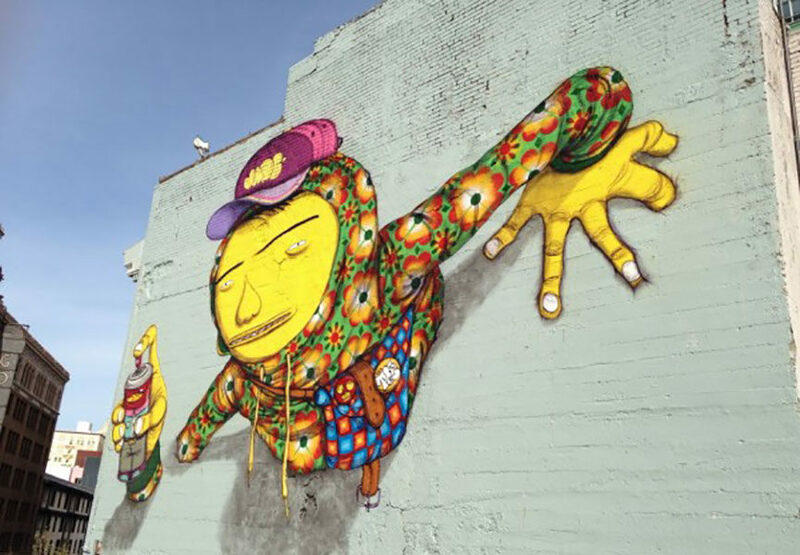 They have also been busy in the streets of São Paolo, doing some of their signature works, and just recently Ben Mor produced a short 2-minute film about The Twins capturing some of the best moments of Os Gemeos work. 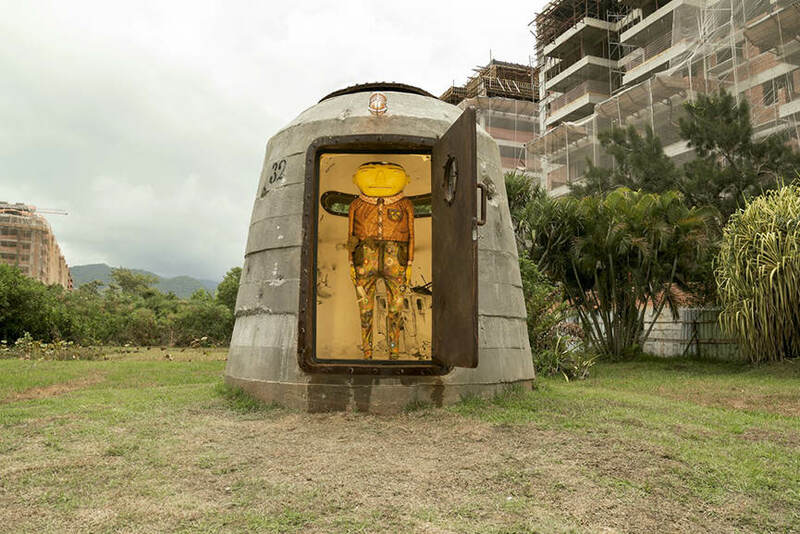 The beginning of this year was marked by their exhibit at the Museum of Casa de Pontal in Rio de Janeiro, where their concrete bunker installation became the home of one of their yellowish figures and the part of the museum’s permanent exhibit. Further on they have been collaborating with French photographer JR on one of their mural paintings, addressing the issue of water shortages in several states in Brazil and just recently their collaboration resulted in a new street artwork in New York. 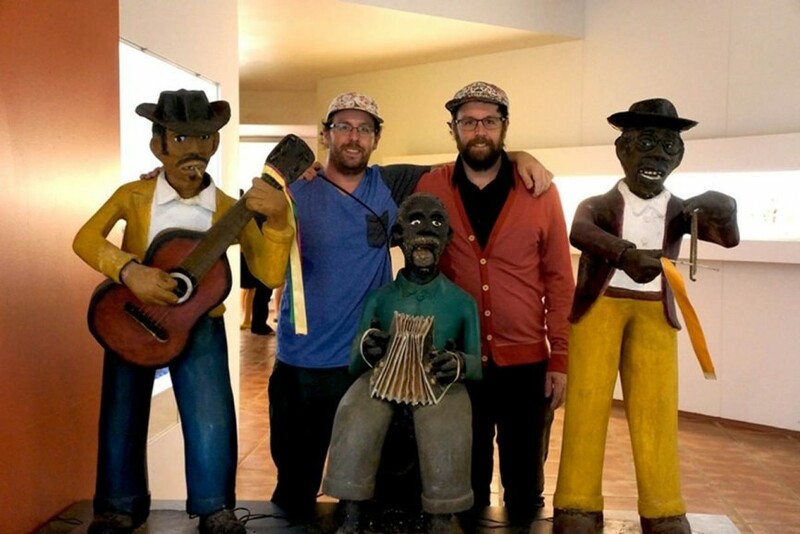 While we wait for their future artistic engagements, feel free to check out the Ben Mor video and stay tuned for more news about Os Gemeos work. Wondering who will be our next artist of the week? Well, sign up for My Widewalls for free and find out!